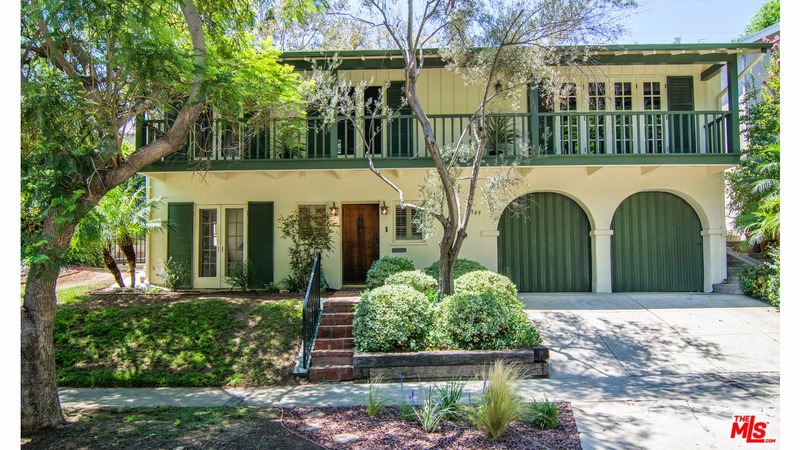 The Westwood Real Estate Market Blog: What Did That House Sell For At 1949 Comstock Ave? What Did That House Sell For At 1949 Comstock Ave? The Westwood home at 1949 Comstock Ave., LA CA 90025 lasted about 16 days on the market before accepting an offer on 8/29/14. This 1930's Monterey Colonial is situated on a beautiful tree lined street in the hilly neighborhood south of Santa Monica Blvd and east of Beverly Glen. Most of the house is the 2nd level of the house, with the exception of the entry foyer and den or bedroom with bathroom off the foyer. With a mix of period details and some updating, this home was in clean move-in condition. On 9/11/14, 1949 Comstock Ave closed about 5.63% over the asking price at $1,425,000 |$749 $/sf|. According to the MLS, the home is a 3 bedroom / 2 bath, 1,902 sq ft of living space on a 5,768 sq ft lot.